This entry was posted in Movie Review and tagged Hunger Games, Mockingjay, movie review, Suzanne Collins by Book Club Babe. Bookmark the permalink. Yikes, I hadn’t heard about prequels! I hope they don’t go through with it, I think four movies was enough. Thanks for sharing. I’m in the same boat. 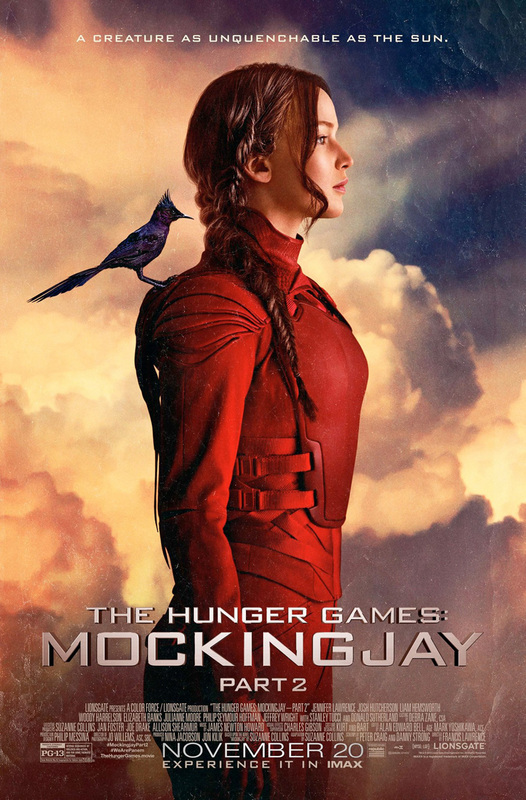 I didn’t think the book Mockingjay was particularly good, and got pretty much what I expected from the movie version. As you said so well, the concept of the Hunger Games and the arenas were really unique to this series — but when we’re dealing with the rebellion, it could be anyone of a dozen dystopian worlds that are so popular now. Agreed! There was something so forgettable about this finale!